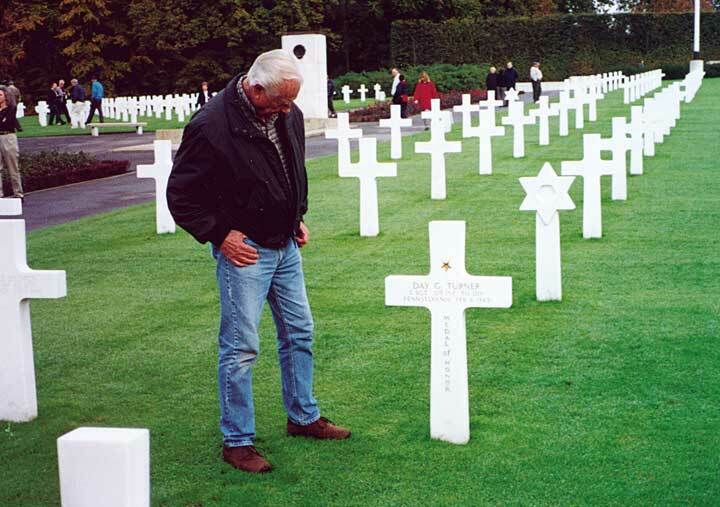 Stephen Ambrose Historical Tours has meticulously crafted the original Band of Brothers Tour® that follows the path of Easy Company. 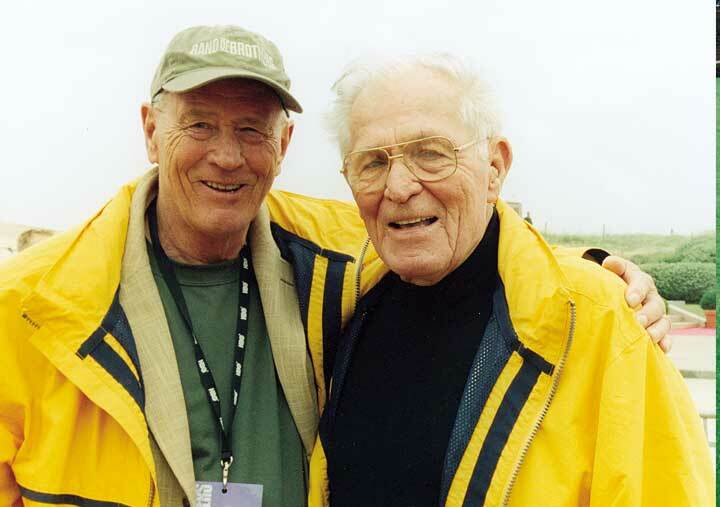 This Band of Brothers Tour is based on the first-hand and personal recollections of the paratroopers and the extensive research of Stephen Ambrose, who wrote the best-selling book, Band of Brothers, on which the miniseries was based as well as the research of his colleagues, Captain Ron Drez, and historian Chris Anderson, former editor of World War II Magazine. Ask any of the original members of Easy Company what made the unit so special and they will answer: “Toccoa.” This training ground in the north Georgia woods was where the bonding process among the men of the 506th began. As it did for so many of the men of Easy Company, our tour of Toccoa will begin at the train station where recruits for the 506th first arrived. The station also houses the Stephens County Historical Society – the 506th Museum – to view their unique collection of artifacts and memorabilia from Camp Toccoa. Following lunch, we travel to the site of the camp and then proceed up Mount Currahee, the 1,000 ft. mountain that the men of the 506th ran daily for training. Here they drew their inspiration and motto Currahee, an Indian word meaning “We Stand Alone.” After, we head to the airport for the trans-Atlantic flight to London. 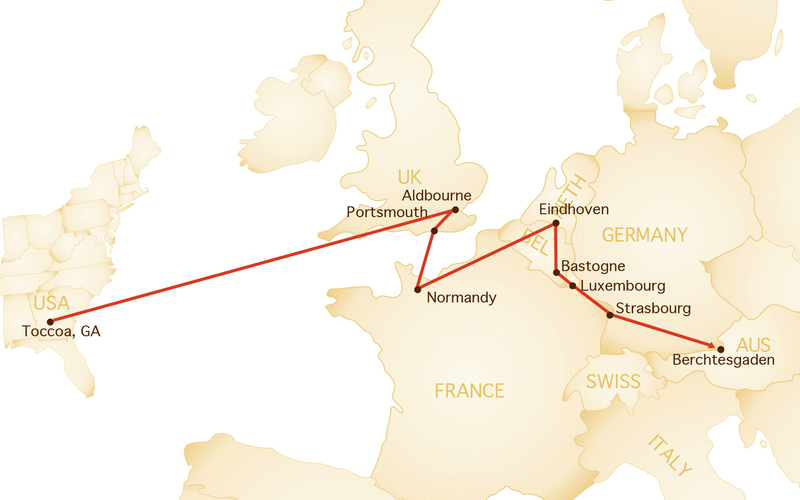 Trans-Atlantic flights are included with the 15-day tour. For 13-day guests, your accommodations near the London Heathrow Airport are scheduled one day before the arrival of the 15-day guests. Enjoy London! 13-day guests meet the motor coach driver in the hotel lobby and head to the airport. The 15-day guests are picked up and the main tour officially starts for everyone. We will visit Littlecote House, the historic English manor house that was headquarters for the 506th Parachute Infantry Regiment for the six months prior to the invasion. We will tour Aldbourne, the tiny Wiltshire village that was the home of Easy Company and visit many of the buildings used by the men of Easy as they prepared for the greatest invasion in history. 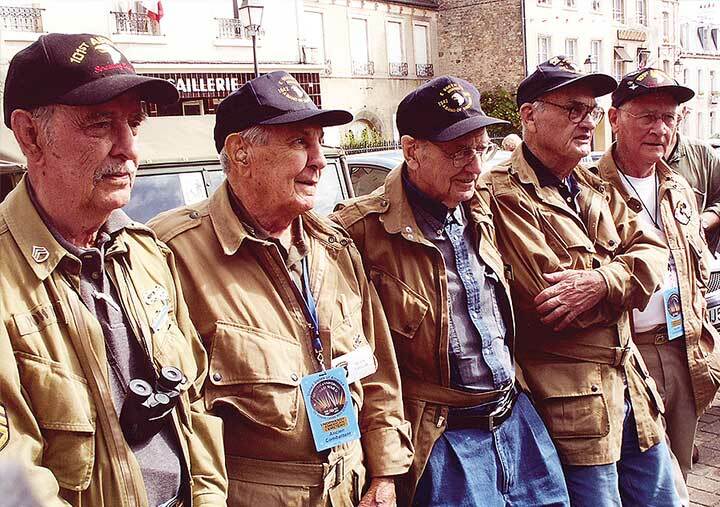 When in the village we will have an opportunity to enjoy a traditional lunch in the same pubs frequented by the men of the Easy Company over 60 years ago. From the manor we proceed to Utah Beach and the Utah Beach Museum. 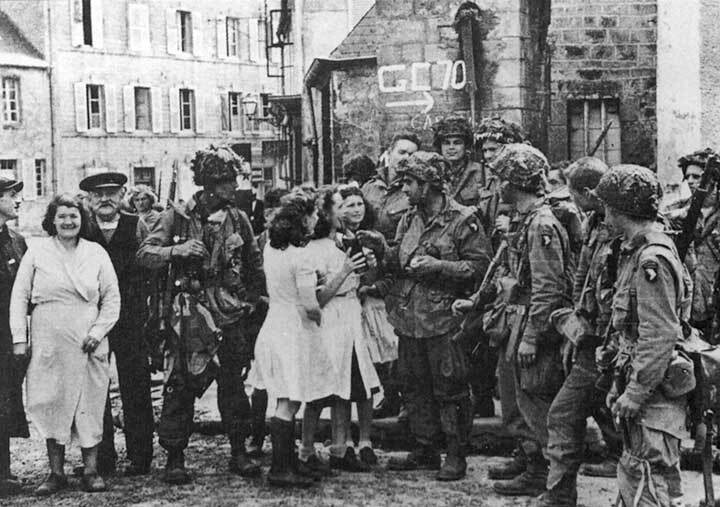 From Ste-Marie-du-Mont, we will travel past Dead Man’s Corner, and into Carentan, the Norman town that was one of the Allies earliest objectives. We will see the site of Easy Company’s battle as they entered the town on June 12, and the square from which General Maxwell Taylor presented awards to his men for their gallant performance during the invasion. Today we will study Operation Market Garden, the largest airborne operation of the war. 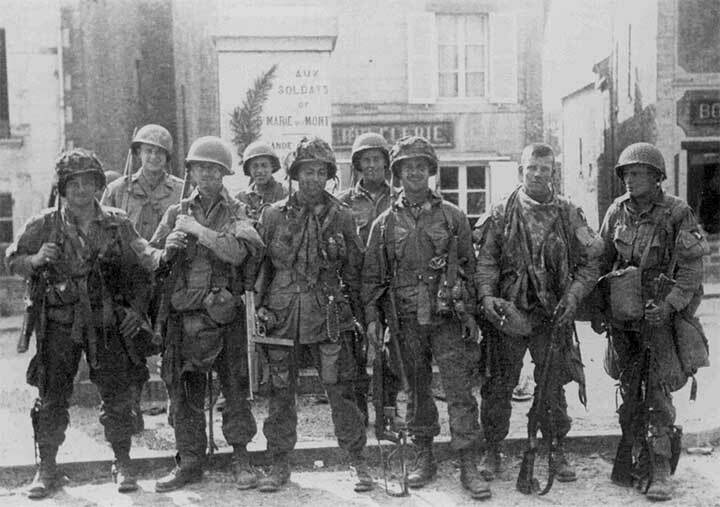 In broad daylight, the 101st Airborne Division parachuted into Holland in a bold strike in order to seize bridges across rivers and adjacent canals from Belgium to Arnhem. From there we will head to Son, location of the 506th’s drop zone and the bridge over Wilhelmina. Under the command of Colonel Sink, their mission was to capture the bridge over the Wilhelmina Canal and then advance south to Eindhoven. We will then follow the companys route into Eindhoven and visit Saint Catherine’s church where many of the original liberators gathered in September 1944. Our last stop of the day will be the Veghel battle site, where all of the 101st Airborne Division fought to keep Hell’s Highway clear of enemy troops. After a stop at Tor Schoonderlogt, a farm which was the 2nd Battalion Headquarters, we will visit Easy Company’s jump off point for Operation Pegasus, a mission to rescue trapped British paratroopers. We will walk the site of the fight at the Crossroads, where E Company attacked and destroyed a company of elite SS soldiers, preventing over 300 German soldiers from joining an attack on the 506th regimental headquarters. You will stand in the very spots where American and German forces stood, and will understand what Stephen Ambrose meant when he said that the best way to understand history is to study the places it was made. Our next stop is Bastogne, Belgium, the site of the divisions epic eight-day stand against the Germans in December 1944. Along the way we stop at the American Battle Monuments Commissions Netherlands American Cemetery and Memorial at Margraten to pay our respects at the graves of Easy Company men killed in Holland and Belgium. In Bastogne we visit the Battle of the Bulge Museum and General Anthony McAuliffe’s headquarters during the siege. From Bastogne we head to Fort Simserhof, a beautifully preserved Maginot Line fortification, and a visit to the Muse de la Fortification du Simserhof. Our day concludes with a visit to Hagenau, the site of some of Easy Company’s final battles and several daring patrols. Our study of Easy Company battlefields ends at Adolf Hitler’s Alpine retreat at Berchtesgaden, where we will visit the Eagles Nest and the remains of the vast Nazi Party complex liberated by Easy Company in May 1945. Eagles Nest was built as a 50th birthday present to Hitler from the Nazi party. Perched at 6017 feet, the Eagle’s Nest and the road network leading to it were considered feats of engineering as they were completed in only 13 months time in 1937-38. 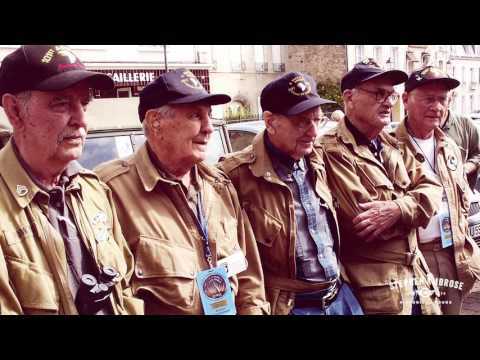 15-DAY TOUR – Begins in Atlanta, Georgia, touring the Band of Brothers training grounds in Toccoa, GA at Mt. Currahee. Includes trans-Atlantic flights. This is a great option for those who would like us to coordinate their overseas flights. 13-DAY TOUR – Begins in London, England. Trans-Atlantic flights are NOT included. This a great option for guests who want to schedule extra time before or after the tour in Europe. Prices are per person based on double occupancy. For a single room add $1,100 (15-day) or $995 (13-day). Trans-Atlantic flights included in 15-day tour. Flights not included in 13-day tour.